From the first century, elders were appointed in local congregations to oversee and instruct the believers (Acts 14:23, 20:17). UCCD is therefore an “elder-led” congregation, meaning that several biblically-qualified men oversee the congregation as a whole. Some of our elders are employed by the church, though most work in secular jobs. All elders meet the qualifications of 1 Timothy 3 and Titus 1, and they endeavor to lead the church through example, preaching, teaching, discipling and counseling. 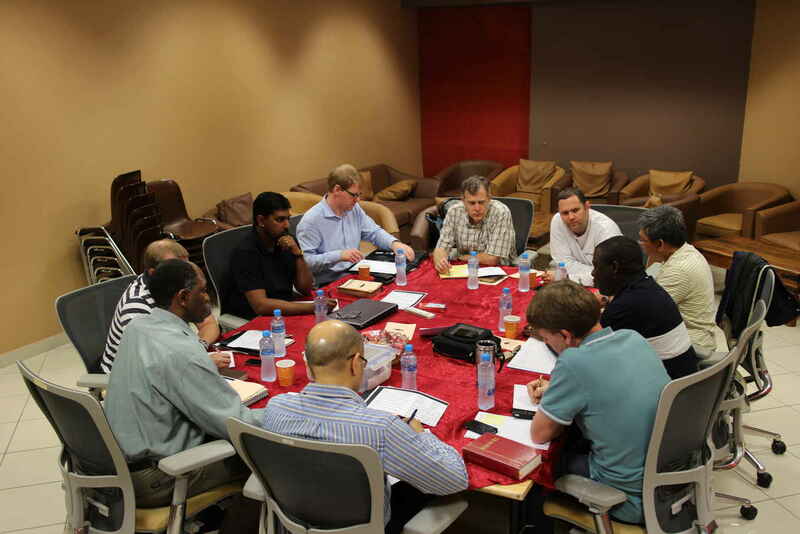 They meet regularly to pray and provide spiritual oversight on matters concerning the church. When a dispute arose in the early church concerning limited resources, the apostles appointed servants to provide for physical needs of the church while the apostles devoted themselves to "prayer and the ministry of the word" (Acts 6:4). In the same way, several deacons serve UCCD in a number of practical areas in order to promote unity in the church and to support the ministry of the Word. Deacon qualifications are set forth in 1 Timothy 3. *Our Elders meet twice a month for prayer and deliberation.